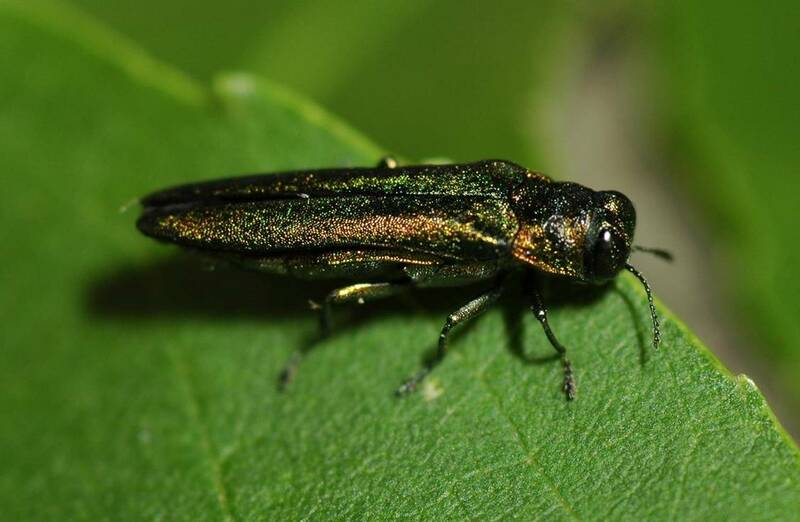 At high emerald ash borer (Agrilus planipennis) population densities, all green, black and white ash trees are apparently susceptible to attack and can be expected to die. Long term prospects for management include biological control to reduce population densities of the insect, and resistance or tolerance of ash trees to reduced populations of the pest. In the short term, however, reduction of pest populations in local areas is achievable by removal of its breeding substrate, phloem tissue in ash trees. We have measured over 500 ash trees to find a diameter limit to remove a target percentage of phloem available to EAB. Potential users of the model are forest resource managers that know they have ash in mixed-species stands close to outlying populations of EAB. Use of the model will limit the population potential of EAB, thereby reducing its impact and potential spread. Using diameter limit cutting on ash trees in a stand allows for retention of some trees in order to help preserve ash genetics and maintain ash as a viable part of our forest. Cutting only the biggest trees (or leaving only 1 or 2 of the biggest trees and removing the smallest ash trees) would accomplish phloem reduction and the models can help determine what size trees would best do that while removing food for EAB and still leave some ash behind. Note: These models only consider the ash component of a stand, regardless of stand size, other species present, or the total amount of ash present. Use information from the model only for species of ash trees (Fraxinus spp. ).